LYNDHURST, N.J. — Award-winning Lyndhurst makeup artist Victoria De Los Rios says she’s addicted to making women feel beautiful. De Los Rios’ addiction has propelled her business, ” My Makeup Artist Victoria ,” to be hired for more than 250 weddings annually. It has also earned the mother multiple KNOT Hall Of Fame Awards and opportunities to showcase her “work” on TV commercials on Bravo, Food Network, Style Network and Lifetime Channel. Following in her father’s footsteps, De Los Rios began painting when she was 4 years old. At 8, she found makeup in her mom’s purse. She put the two together and, ouala ! De Los Rios’ childhood discovery ended up saving her when she was laid off from her job in the mortgage industry during the financial crisis of 2007. 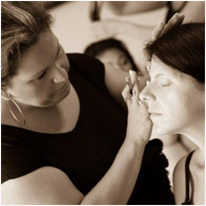 Today “My Makeup Artist Victoria” employs twelve hair and makeup artists, and De Los Rios spends her weekends traveling to weddings around the country to provide her services. Pronounces Preeminent Vendors Across the U.S.
NEW YORK (October 1, 2013) – Whether they’re trying to find the wedding dress salon with the best service in Philadelphia, the most creative wedding photographers in Los Angeles, New York’s top cake bakers or Miami’s hottest reception sites, engaged couples across the country want the inside scoop from real brides. The Knot Wedding Network, which is composed of the top two wedding websites, TheKnot.com and WeddingChannel.com, today announces the first-of-its-kind wedding industry Hall of Fame for the all-time best wedding vendors across the United States. Victoria De Los Rios: a fierce business woman and talented artist that provides the utmost service on a woman’s special day; owner of My Makeup Artist Victoria. When you interact with Vicky for the first time, you’ll immediately feel the positive vibes as she listens attentively to the vision for your big day. She is personable, passionate, and genuine. She takes her time in ensuring that you are a more beautiful version of yourself for that special occasion. From our perspective, she doesn’t do transformations; she enhances the beauty that already exists. With 14 years of experience, her artistry comes naturally. Vicky launched her makeup career with Lancôme and later joined the MAC team, where she received her MAC certification. Subsequently, she had the opportunity to work at a spa in northern New Jersey where she further honed her skills and expanded her knowledge of hair and skincare. Vicky started as a one woman show. She would (and still does) travel to the bride’s home with her MAC makeup and other beautifying tools. Today, she has a team that provides a repertoire of on-site services. She now has My Beauty Loft in North Arlington, NJ. There, all women have the opportunity to go through the beautification process for any special occasion with Vicky or one of her trained team members. Why My Makeup Artist Victoria? 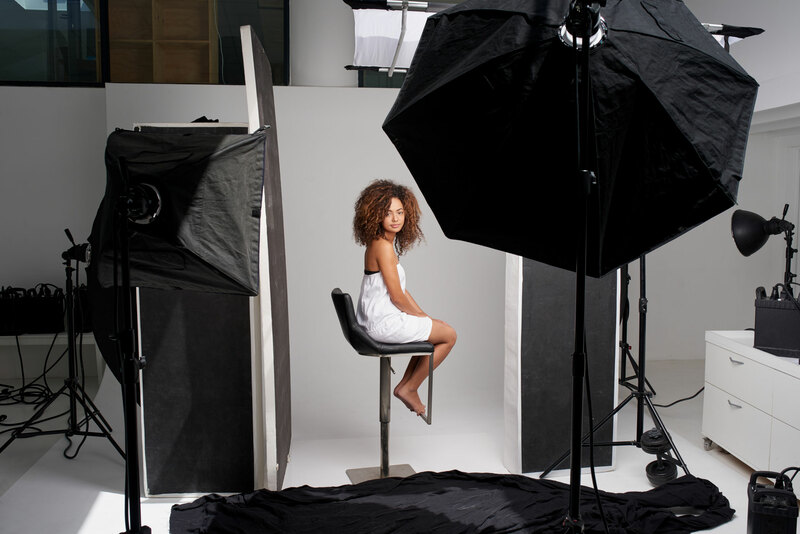 AJ Socialites supports determined and ambitious female entrepreneurs. She transformed her vision and passions into a career she loves. Additionally, during your trials and on the day of your special event, Vicky and her team put you at ease, and most importantly make you feel gorgeous. We love Vicky, but you don’t have to take our word for it, as she has been named best in the industry. 2012 The Knot Best of Weddings and the Bride Choice Award 2012 are a few of her accolades. 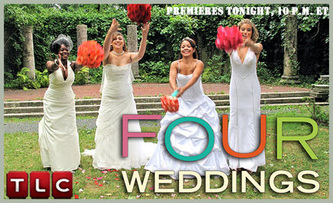 If her name sounds familiar, it’s because she’s been featured on Say Yes to the Dress, Four Weddings, and The Wedding Bee. She’s also done J Socialite’s makeup back in 2011 and recently made one of our brides even more beautiful for her June wedding. When choosing a professional makeup artist to enhance your natural beauty, choose someone who is talented, dependable, and understanding. Whether you want a natural, glamorous, or dramatic look,the makeup artist should accomplish whatever your heart desires. You will have pictures to remind you of every detail, and you want to make sure that you look timeless and flawless. Here’s to Vicky and her team at My Personal Artist Victoria and My Beauty Loft, and a more stunning you. NORTHERN, NJ (JANUARY 27, 2014) – THE KNOT is pleased to announce MY MAKEUP ARTIST VICTORIA & her staff have been selected as a 2014 winner in The Knot Best of Weddings, a special section featured on TheKnot.com/BOW. TheKnot.com the number-one wedding destination, most trusted by brides. This is the 4th year Victoria De Los Rios and her Team have been voted the Best Bridal Beauty Vendor for Makeup and Hair for The Knot Best of Weddings. My Makeup Artist Victoria wins Bride Choice Award 2013. NORTHERN/CENTRAL, NJ (January 27, 2013) – WeddingWire, the nation’s leading online weddIng marketplace, is thrilled to announce that MY MAKEUP ARTIST VICTORIA has been selected as a winner of the Prestigious WeddingWire Bride’s Choice Awards® 2013 for BEST BRIDAL BEAUTY MAKEUP/HAIR Vendor in Northern and Central NJ! The esteemed annual awards program recognizes the top five percent of wedding professionals in the WeddingWire Network who demonstrate excellence in quality, service, responsiveness and professionalism. MY MAKEUP ARTIST’s selection as a Bride’s Choice Award 2013 winner was selected based on the positive experiences expressed by past clients on WeddingWire, the world’s largest wedding review site with over one million reviews. While many industry awards are given by the host organization, the WeddingWire Bride’s Choice Awards® winners are determined solely based on reviews from real newlyweds and their experiences working with MY MAKEUP ARTIST VICTORIA. The WeddingWire Bride’s Choice Awards® 2013 are given to the top local wedding vendors in more than 20 service categories, from wedding venues to wedding photographers, based on professional achievements from the previous year. Award-winning vendors are distinguished for the quality, quantity, consistency and timeliness of the reviews they have received from their past clients. 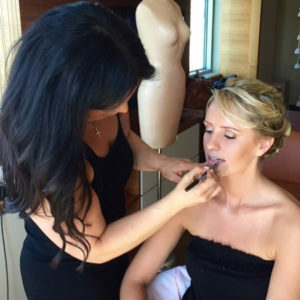 As a Bride’s Choice Awards winner, My Makeup Artist Victoria is highlighted within the WeddingWire Network, which is comprised of over 200,000 wedding professionals throughout the United States, Canada and abroad. NORTH ARLINGTON, NJ (January 23, 2013) –THE KNOT is pleased …MY MAKEUP ARTIST VICTORIA has been selected as a 2013 winner in The Knot Best of Weddings, a special section featured on TheKnot.com. TheKnot.com the number-one wedding destination, most trusted by brides. This is the 3RD year MY MAKEUP ARTIST VICTORIA has been voted the Best Bridal Makeup and Hair Vendor for The Knot Best of Weddings. NORTH CENTRAL, NJ (January 23, 2012) –THE KNOT IS pleased to announce MY MAKEUP ARTIST VICTORIA has been selected as a 2012 ­­winner in The Knot Best of Weddings, a special section in The Knot magazine and on www.theknot.com), THE KNOT is the number-one wedding resource that’s most trusted by brides. This is the 2nd year Victoria and her Team have been voted Best Makeup and Hair Artists in NJ for The Knot Best of Weddings. “Winning this award as a team 2 years in a row feels incredible! My Makeup Artist Victoria wins Bride Choice Award 2012. NORTH/CENTRAL NJ – January 23, 2012 – WeddingWire, the nation’s leading wedding Marketplace, is excited to announce My Makeup Artist Victoria has been selected to receive the prestigious WeddingWire Bride’s Choice Awards™ 2012 for Beauty & Health FOR TH 3RD year in a row. The esteemed annual awards program recognizes the top local wedding vendors from the WeddingWire Network who demonstrate excellence in quality, service, responsiveness and professionalism within the wedding industry. While many industry awards are selected by the organization, My Makeup Artist Victoria was selected based on its stellar reviews from past newlywed clients. My Makeup Artist Victoria is recognized as part of the top five percent of wedding professionals in the WeddingWire local vendor community, comprised of over 200,000 wedding professionals throughout the United States and Canada. The Bride’s Choice Award recognizes the best local wedding vendors across 20 service categories, from wedding venues to wedding photographers, based on their overall professional achievements throughout the past year. We are happy to announce that Victoria and her Team are one of the very best Makeup and Hair Artists within the WeddingWire Network, which includes leading wedding planning sites WeddingWire, Project Wedding, Brides.com, Martha Stewart Weddings, and Weddingbee. We would like to thank our past clients for taking the time to review our business on WeddingWire. Thanks to their positive feedback we were able to receive the WeddingWire Bride’s Choice Awards™ for 2012. NORTH/CENTRAL, NJ JANUARY 21,2011– THE KNOT is pleased to announce My Makeup Artist Victoria has been selected as a 2011 ­­winner in The Knot Best of Weddings. 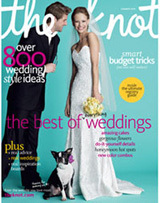 You can now find Victoria and her team in a special section in The Knot magazine and on www.theknot.com, the number-one wedding resource that’s most trusted by brides. My Makeup Artist Victoria wins Bride Choice Award 2011. Bergen County, NJ – January 25, 2011 – WeddingWire, the nation’s leading wedding technology company, is thrilled to announce Victoria De Los Rios and her company My Makeup Artist Victoria have been selected to receive the prestigious annual WeddingWire Bride’s Choice Awards™ 2011 for Beauty and Health Professionals for a 2nd Year in a row. My Makeup Artist Victoria stands among the top five percent of wedding professionals in the WeddingWire community, representing quality and service excellence within the wedding industry. Awards were given to the top wedding professionals across 20 service categories, from wedding venues to wedding photographers, and were based on the overall professional achievements throughout the past year. We are happy to announce that My Makeup Artist Victoria is among the very best in the Bridal Makeup Artist Category within the WeddingWire Network, which includes leading wedding planning sites WeddingWire, Martha Stewart Weddings, Project Wedding and Weddingbee. We would like to thank our past clients for nominating us to receive the Bride’s Choice Awards™ 2011. January 19, 2010 – WeddingWire, the nation’s leading wedding technology company, just announced My Makeup Artist Victoria has been selected to receive the 2010 Bride’s Choice Awards™ for Makeup Artist and Beauty Industry! The annual Bride’s Choice Awards™ recognizes and celebrates excellence in quality and service with…in the wedding industry, as determined by recent reviews and extensive surveys from over 500,000 newlyweds. My Makeup Artist Victoria is among the top five percent of all vendors in the WeddingWire community, which includes over 100,000 wedding professionals across the US and Canada. Awards were given to winners across 19 different service categories, from wedding venues to wedding photographers. We are happy to announce that Victoria De Los Rios is among the very best Makeup Artist within the WeddingWire Network, which includes WeddingWire and Martha Stewart Weddings. We would like to thank our past newlyweds for nominating us for the 2010 Bride’s Choice Awards™.